Whether you’re camping with a sleeping bag or staying at budget hostels, a sleeping bag liner can be hugely beneficial. The best sleeping bag liner takes up little space and can serve two main purposes. It will increase the warmth of your sleeping bag and it will also add another hygienic layer of protection. They are particularly good at protecting against insects and bedbugs. Sleeping bag liners come in a range of designs and not every liner will be suitable for you. We’ve combined what you need to consider when purchasing a sleeping bag liner. 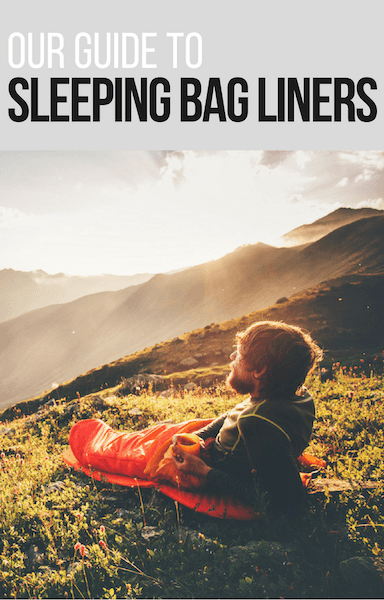 You can read about the benefits of each liner in our sleeping bag liner reviews below to pick the best one for you. 2.1 What is a Sleeping Bag Liner? 2.2 Why use a sleeping bag liner? What is a Sleeping Bag Liner? If you already have a sleeping bag or linen provided by a hotel/hostel, then why use a sleeping bag liner? What does a sleeping bag liner do? A sleeping bag liner serves two major purposes: to keep you warm and to keep your sleeping bag clean. However, the design of the sleeping bag liner will result in it being more or less suitable for one or both of these purposes. 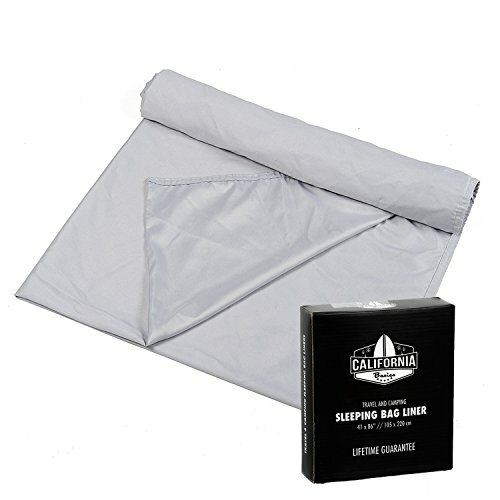 Can you use a sleeping bag liner as opposed to a sleeping bag? It really depends on the climate of the place you might be using it Generally, we’d recommend against it as the nights can sometimes get unpredictably cold. 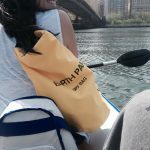 Learning how to use a sleeping bag liner is super simple – depending on its purpose and design, it will either slide inside the sleeping bag as a mummy bag, or placed inside the sheets of a bed as an additional layer. Why use a sleeping bag liner? Despite its name, a sleeping bag liners use extends beyond lining a sleeping bag. 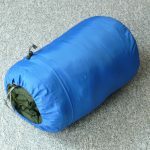 So how can you use a sleeping bag liner and what is a sleeping bag liner used for? The first and most obvious way to use a sleeping bag liner is to line the inside of a sleeping bag. One of the concerns you may have while backpacking is how you’ll manage to keep your sleeping bag clean. 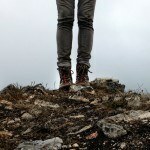 A liner helps to accomplish this by keeping dirt and moisture away, and in turn extends the life of your sleeping bag. It also increases the warmth that the sleeping bag will provide. Outside of a sleeping bag, a liner can really be used anywhere to provide an additional layer of protection, especially in conditions that are questionable and may be ridden with bed bugs. Type – the two main type of sleeping bag liners are mummy bag liners and rectangular liners. Mummy bag liners are great for fitting inside a sleeping bag and keeping you snug, whereas rectangular shaped liners are generally better for beds and for moving about. Material – sleeping bag liners come in many different materials, some of the most common being cotton, silk, microfiber and polyester. Microfiber is generally the bulkiest of these and while polyester can be the cheapest, it can also be less comfortable on the skin. The best silk sleeping bag liner can be quite expensive but luxuriously comfortable. Warmth – do sleeping bag liners keep you warmer? Well, not all sleeping bag liners are designed to provide additional warmth and some materials do this better than others. Thermal liners are the warmest sleeping bag liner and are usually made of polyester. Microfiber liners can add considerable comfort but modest warmth. 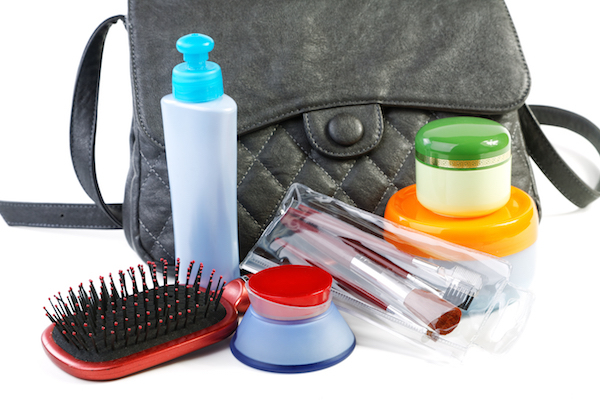 Size – if you’re traveling you will want to save space. 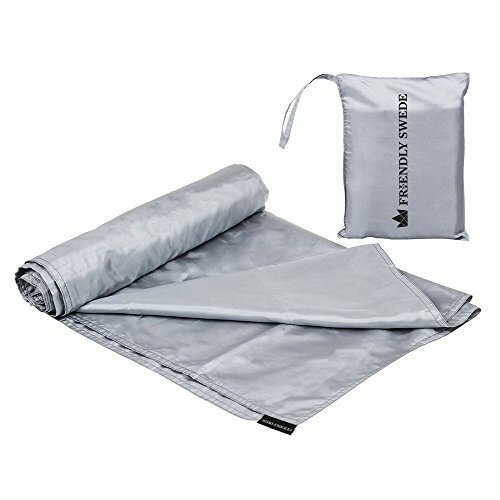 The most lightweight sleeping bag liner is usually made of silk or polyester. However, do note that most liners can be stored compactly and do not take up too much space at all, regardless of their material. Below you’ll find our sleeping bag liners review and our top picks of 2018. The most affordable best sleeping bag liner for warmth is The Friendly Swede Travel and Camping Sheet Sleeping Bag Liner. 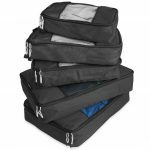 This is an inexpensive option made of polyester offering heaps of space inside. The liner is rectangular in shape which creates a large enclosure, and with one velcro side it is super easy to squeeze in and out of. Although it’s made of polyester, the sleeping bag liner warmth is pretty good – although the synthetic fibre makes it slightly less comfortable than silk. 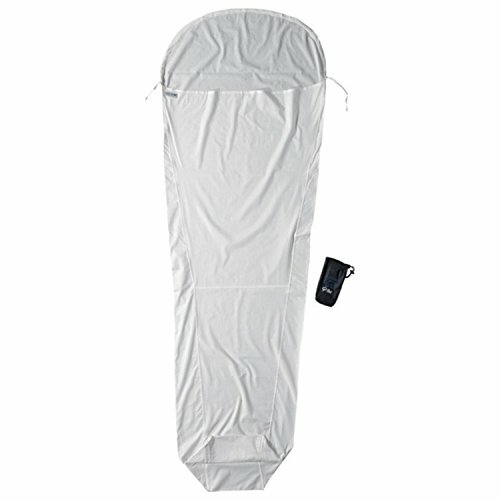 The biggest benefit of this light sleeping bag liner is that it can be folded super compactly when not in use making it very easy to travel with. Click here for more information and to see the latest prices. The title for best sleeping bag liner for cold weather easily goes to the Sea to Summit Reactor Extreme Thermolite liner. It’s well regarded for adding some serious warmth and is the warmest sleeping bag liner on this list. The liner is a mummy bag shape and claims to add up to 25 degrees fahrenheit of heat. 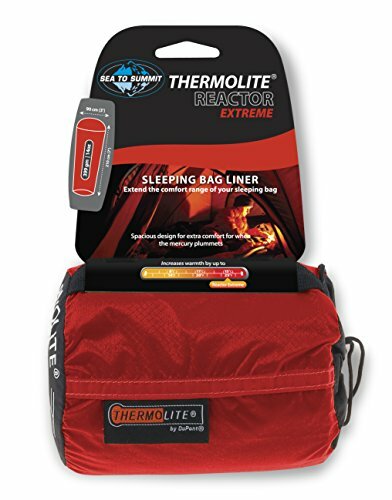 Another thermal sleeping bag liner review found that although it didn’t quite reach this level, it still added a significant amount of heat. Our Sea to Summit sleeping bag liner review found that with no side zips it can be a little difficult to squish in and out of. However, any negative was offset by it’s ability to keep the warmth in and it’s ability to be squashed down into something super thin and compact. 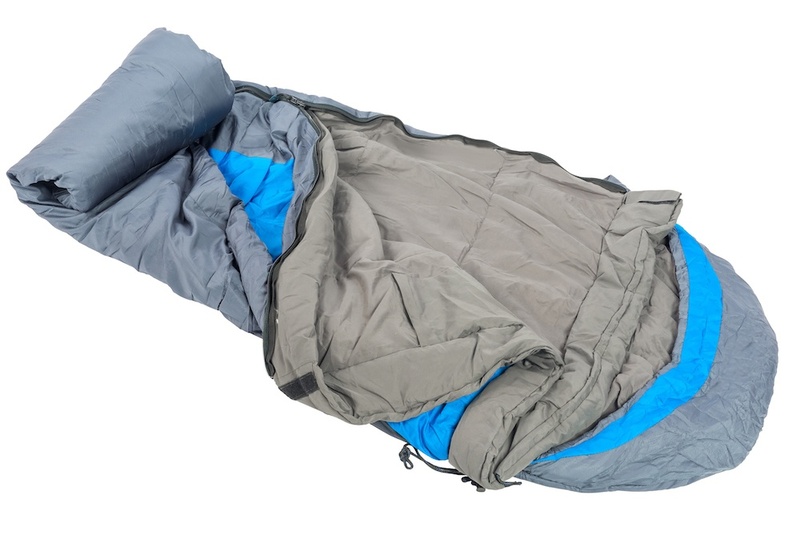 It’s our top pick of the best sleeping bag liner for backpacking in cold climates. The next best sleeping bag liner review is of the California Basics Sleeping Bag Liner. If you’re looking for a cheaper liner to simply protect you from less than ideal surroundings and bed bugs, this is a great option. Although this is not one of the best sleeping bag liners for warmth, it still makes for a great option at hostels as it’s comfortable and provides protection from less than ideal environments. It’s super easy to get in and out of with a velcro side, which also does a great job of protecting you from drafty weather. While it doesn’t add a great deal of heat, it does keep the heat in. It’s also super affordable and one of the lightest sleeping bag liner options on our list. The Cocoon Silk MummyLiner is a ultralight sleeping bag liner – and a super comfortable one at that. Although silk mummy bag liner is not made of real silk, it’s the closest alternative and made of a silk-like polyester. It has the best advantages of both cool in summer and warm in winter making it the ideal sleeping bag liner for any climate. There’s not a significant amount of heat added but there certainly is an significant increase in comfort. The liner has a hood area too which you should definitely use to enclose yourself. It’s not the most affordable sleeping bag liner and won’t suit all budgets, but if you want the ultimate in comfort without a huge increase in heat then this is a great buy. 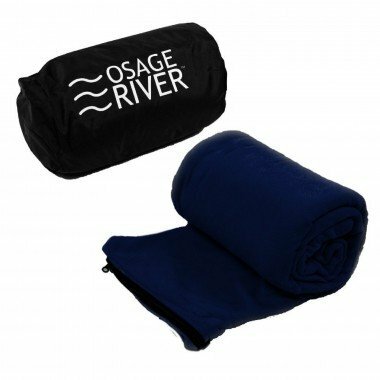 For something super soft and comfortable, check out the Osage River sleeping bag liner. Made of microfiber it’s probably one of the most comfortable liners out there and best sleeping bag liner material for comfort. The fleece can definitely keep you warm on cooler nights, plus it has the advantage of doubling as a blanket which is great for travel. Although it isn’t the most compact sleeping bag liner you’ll find and is a bit bulkier than polyester liners, it’s a comfortable option for colder climates. Have you used a sleeping bag liner? What’s your tip for picking the best one? You can also read our guides to the best lightweight sleeping bag, the best travel towel and more buying guides here. Nate is an avid traveller and digital nomad who loves to explore everything the world has to offer. He particularly loves exploring the great outdoors.